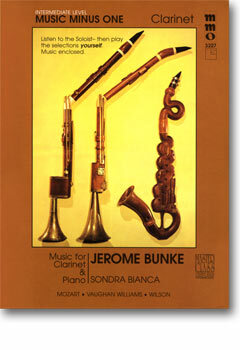 Clarinetist Jerome Bunke grew up in the Albany, NY vicinity and graduated from the Milne School. 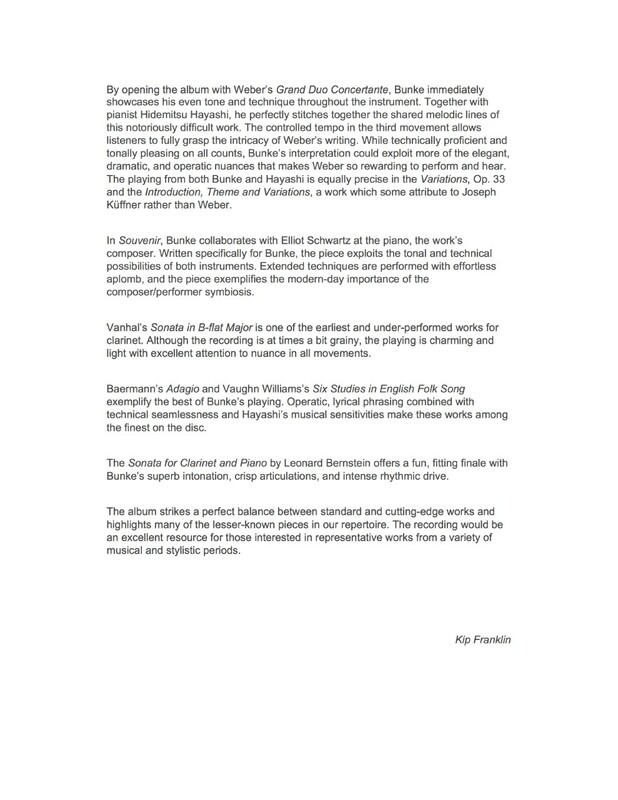 He was a scholarship student at The Juilliard School where he received B.M. and M.S. degrees. As a Collins Scholar, he earned his Ph.D. degree at New York University. 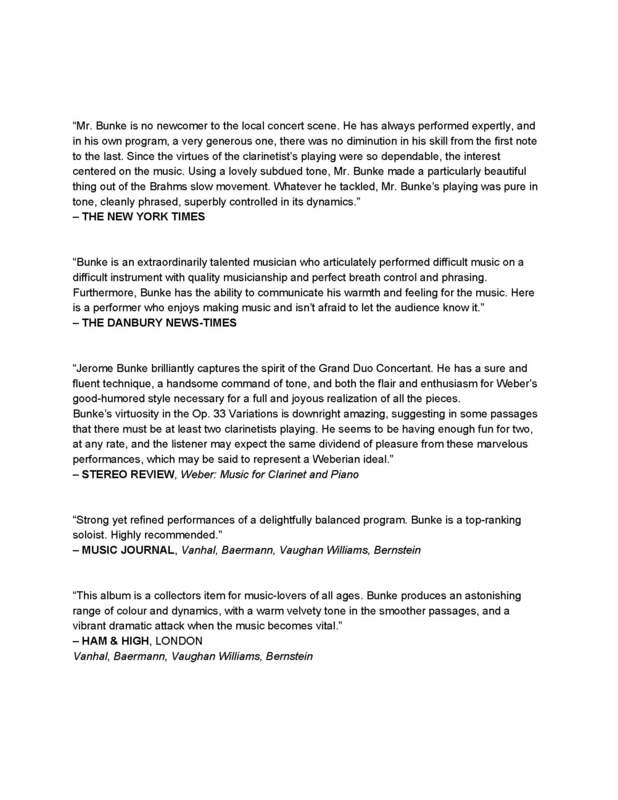 He made his New York solo concert debut as a winner of the Concert Artists Guild Award. Later he taught at NYU and received their Founders Day Award. 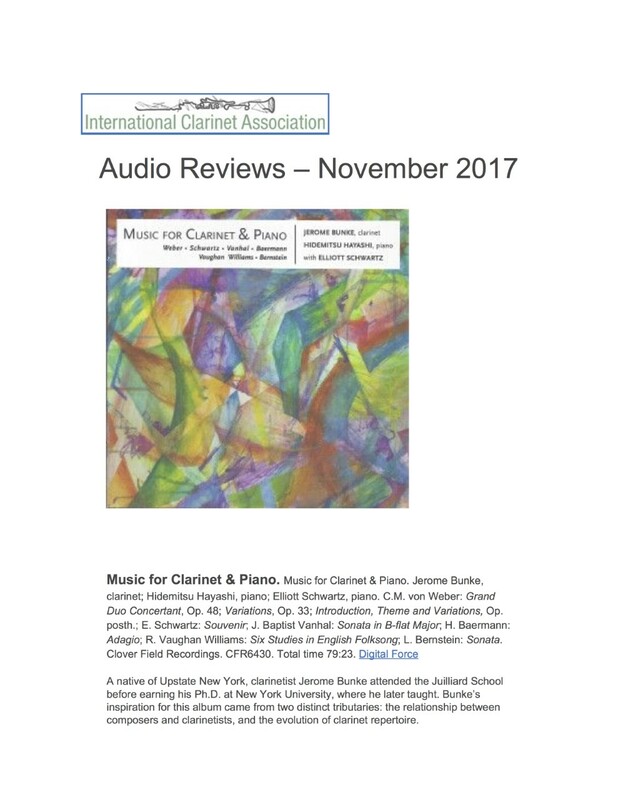 An Affiliate Artist at the Conservatory of Music, University of Missouri - Kansas City, he was also Principal Clarinetist of the Lake George Opera Festival. 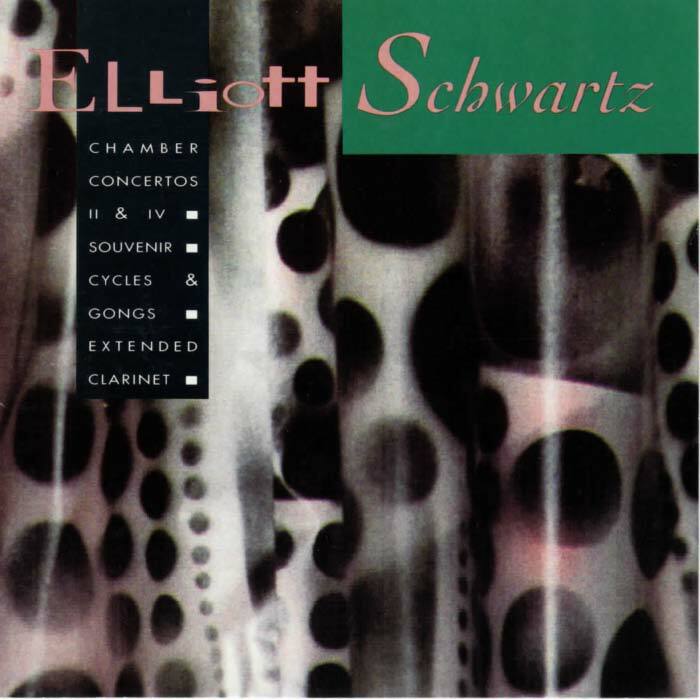 Recognized for championing contemporary music, his performances as a soloist and chamber musician include Carnegie Hall, Town Hall, Lincoln Center and Kennedy Center. His tour of Japan included solo appearances with The Japan Philharmonic, NHK and the Yomiuri Symphony. 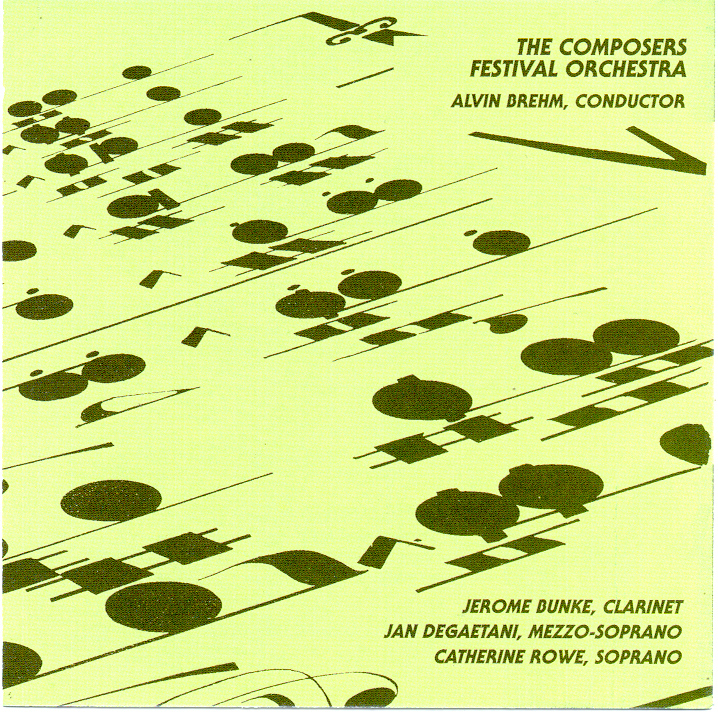 He also played the Carnegie Hall premiere of Messiaen's Quartet for the End of Time. 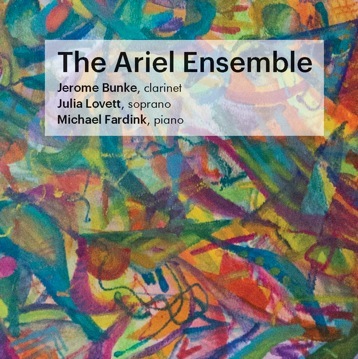 As a founding member of The Ariel Ensemble, he premiered compositions by Starer, Hoover, Barab, Gottleib, Lane, Cohen, Harvey, Mayer, Jankowski and Freeman among others. 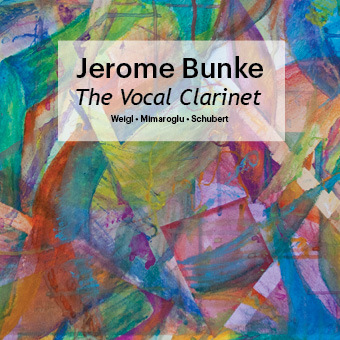 Jerome Bunke appears on more than 20 recordings, including a Ford Foundation Recording Grant for the Concerto for Clarinet by Robert Keys Clark, a work commissioned for the soloist by Composers Theatre. His published articles have appeared in the Music Journal, Bandwagon, NACWPI Journal and in the MENC Spotlight - a decadeís best anthology. 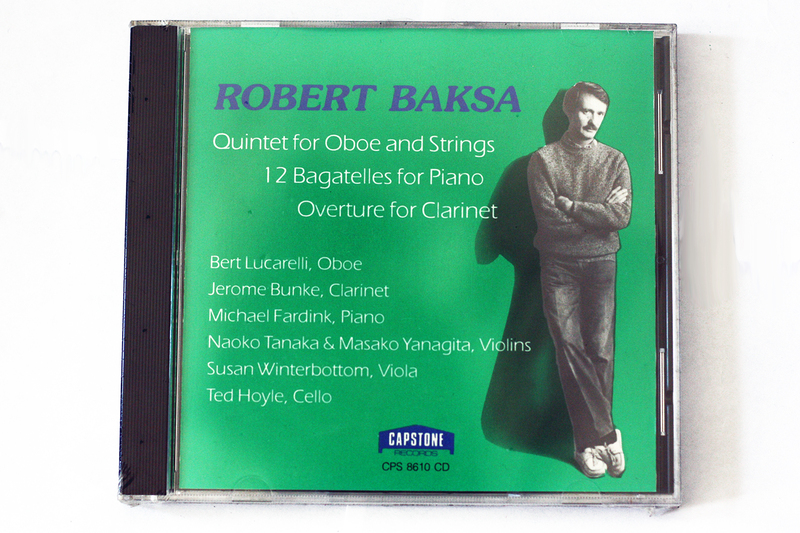 He was the host/producer for the radio/TV series Chamber Music Showcase, which aired on WQXR and PBS. 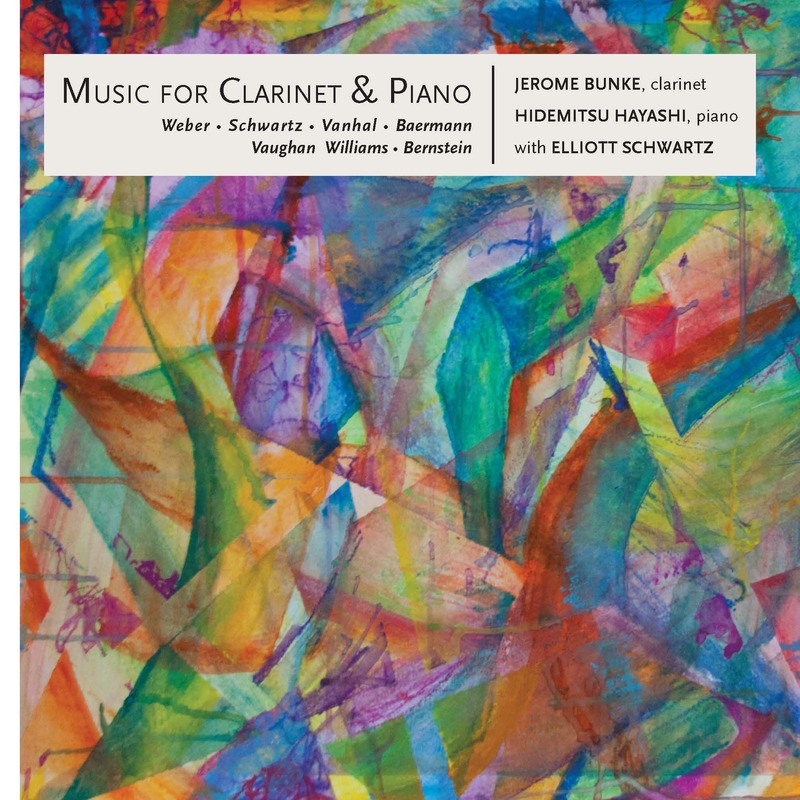 A versatile arts and music industry executive, Jerome served as Executive Producer of The Laureate Series for MMO, Executive Director of the Concert Artists Guild, President of Boosey & Hawkes and Chairman of the Chamber Music Panel of the National Endowment for the Arts. 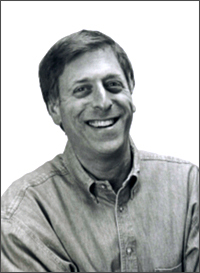 The President of Digital Force, a CD & DVD production company, he has been involved with a wide variety of manufacturing projects that include: The Chamber Music Society of Lincoln Center, The National Symphony, Music@Menlo, Orchestra of St. Lukeís, ArtistLed , MirÛ Quartet, Jeremy Denk, Thomas Hampson, Olympics on NBC, NFL on FOX, Marvin Hamlisch, Donny & Marie Osmond, Regis & Joy Philbin, Dionne Warwick, Tim Rushlow, Kenny Barron, Bill Charlap, Little Anthony, Horatio Alger Association and the United Nations. Among the Broadway cast albums are: The Book of Mormon, Newsies, Spelling Bee, Pippin, Bridges of Madison County, Hair, Drowsy Chaperone and Movin’ Out.